At the Baymont Inn & Suites, our hotel accommodations include over 100 quality guest rooms & suites with all the latest amenities. Business travelers will love our Business Suite, while those who are in town for an extended stay can get comfortable in our Kitchenette Studios. For those special occasions, our Honeymoon Suite and Bridal Suite are the perfect choice. Whether you’re traveling for business or pleasure, we have a room available to suit your needs. 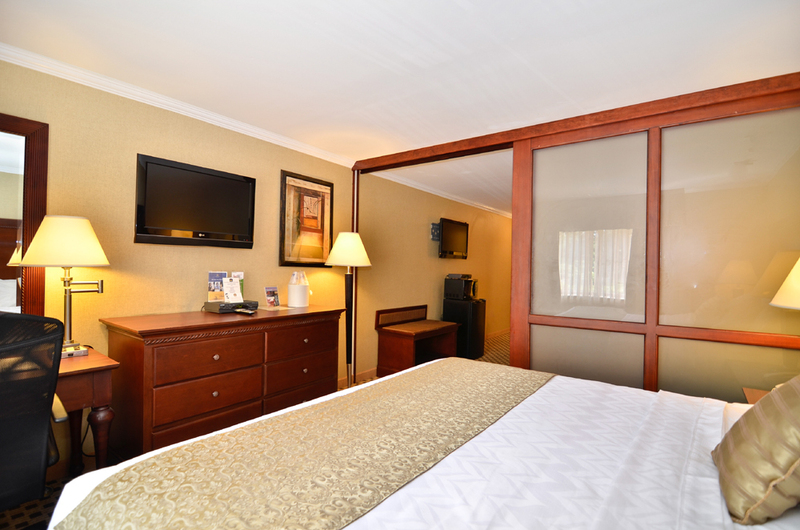 Additionally, our guest rooms provide ADA accessible features. Check in time is 3pm, and check out time is 11am. At the Baymont Inn & Suites we are pleased to offer special discounts for Group Bookings.